Sir Mervyn King’s speech this week was his half yearly assessment of the state of the economy. And, of course, it followed a whole string of economic speeches. And in turn, Mario Draghi of the European Central Bank and President Sarkozy followed up today with more economic speeches. Yes, they are all at it. Now the Governor of the Bank of England is, in no small way, responsible for a policy of Bank regulation. So when the Governor makes suggestions and recommendations we must presume the hint of policy. The Governor’s speech was made in his capacity of chairman of the financial policy committee. The Government created that body only last year. Mervyn King’s speech was softly-spoken and he also gave it sitting down. That made for a less imposing stature than we might expect from the speaker. A strange turn. These speeches aren’t meant to rally the faithful. But they should suggest calm confidence and capability. A sedentary presentation makes that hard to deliver. Mervyn King’s speech was far from an upbeat speech. The Governor made clear that the banks need to prepare for the worst and that the Bank of England is preparing for every scenario. But, somehow the sense of calm confidence and capability was missing from this speech. And that’s not atypical for a central banker’s speech. A Ben Bernanke speech can be invigorating. But not everyone at the Federal Reserve has that capacity. This St. Louis Federal Reserve presentation, for example, was dire. 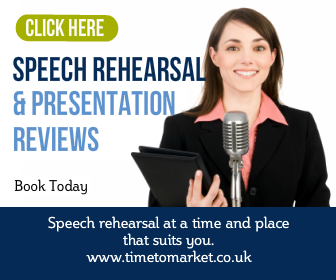 When you need an air of calm confidence with your speeches why not take a look at the tips for public speaking we’ve collated. With more than 100 top tips you should find what you need. 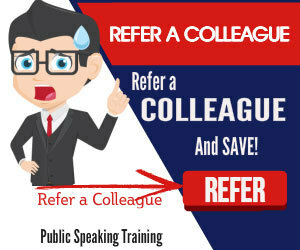 And, when you want to boost your public speaking skills that bit further, then please don’t hesitate to get in touch. Because a public speaking course of coaching session should be just what you need to be confident.